Little Red Fox: Opening Tuesday! LRF is opening on Tuesday, November 26th. After a year of planning, several months of construction, and a few broken deadlines, Little Red Fox is finally ready to open its doors to the public. Come early, come late, and please come often! Coffee and espresso, fresh baked goods, egg sandwiches, housemade bacon, smoked salmon and jicama salad—we've got all the healthy, seasonal and delicious comfort food you can stomach. Plus wine and local brews. If you haven't already, please check out our menu online right here. 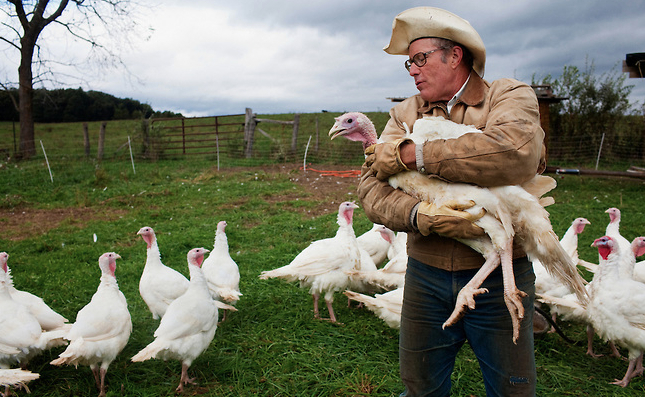 We are stocked with turkeys from Polyface Farm for your Thanksgiving dinner. Reserve your bird right here. Need a pie for Thanksgiving? Our baker Lauren is cooking up pecan, pumpkin, and double crust apple. Reserve your pie here. Copyright © 2013 Little Red Fox, All rights reserved.